Pots? Where? 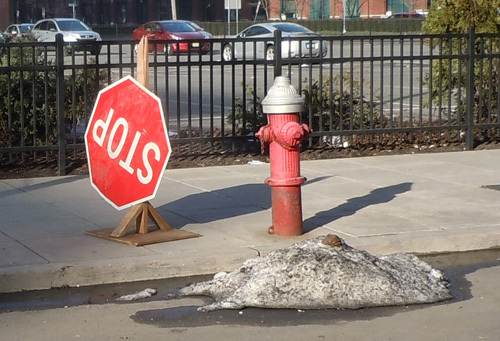 Oh, Stop – do you really have to stop if the sign is not properly affixed? 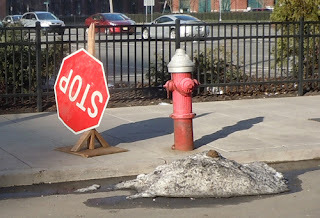 Looks like a make-shift sign, some kind of temporary traffic control solution now gone awry. Did it have something to do with the blizzard-like blast of snow, the grimy pile by the curb now the only remaining remnant? Pushed to the side, getting ready for the spring. Glad that’s over with.